The 23-page booklet has thematic chapters in a K-12 structure. It serves as a comprehensive review of district achievements over the past several years, and offers insight into current and future plans. From Superintendent of Schools David Healy to our entire district family. 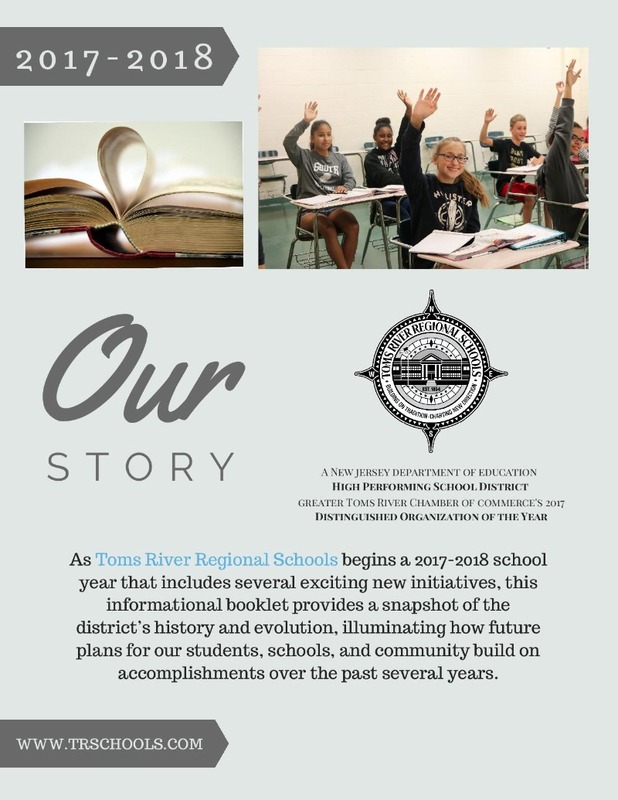 Toms River Regional School District has issued a 23-page booklet outlining its recent accomplishments, providing historical context, and informing the community about exciting initiatives as it dives into the 2017-2018 school year. The document is entitled “Our Story,” and it provides a first-hand account of district happenings over recent years in the context of its storied history, and is structured in chapters with a K-12 theme. 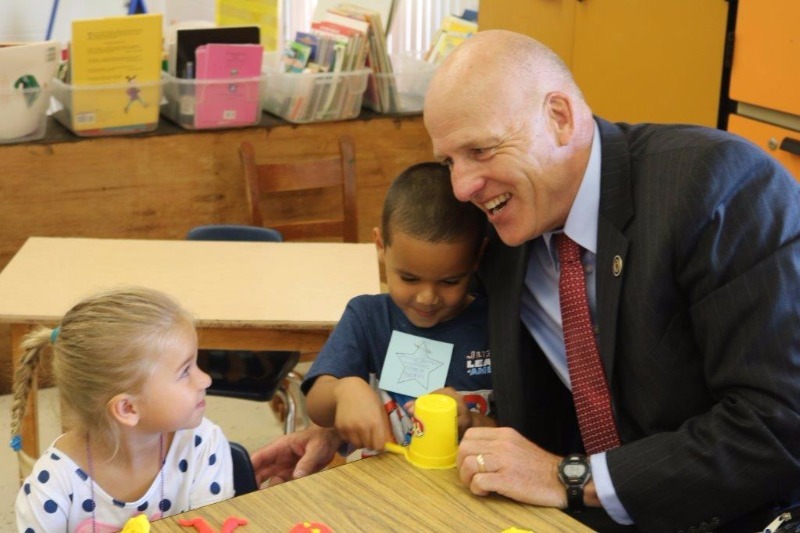 The purpose of the document is three-fold: 1) to serve as a recap of the 2016-2017 school year; 2) to provide a snapshot of district achievements throughout the past several years, and 3) to offer insight as to how these achievements drive board of education and district goals heading into the new school year and beyond. The release of the booklet is on the heels of Toms River Regional being recognized by the State Department of Education as a “high performing school district,” in conjunction with the opening of Career Academies at each of the three high schools (a major district initiative for which planning began years ago), and as the district prepares to receive the extraordinary honor of being named by the Greater Toms River Chamber of Commerce as Toms River’s Distinguished Organization of the Year. Toms River Regional Schools has in the past issued a community packet prior to the school year that, while touching on school and district triumphs, included information such as school contacts, schedules, and available programs. “Our Story” is an attempt at something different which the district hopes might resonate with families and the community while serving as a valuable resource. Directory information and real-time district happenings can be accessed at www.trschools.com. “Our Story” is posted on the homepage of Toms River Regional’s website at www.trschools.com. A link to the booklet was also shared within Superintendent Healy's welcome back letter to students, parents, teachers, support staff, and administrators.